Tales of Italian automotive history narrated by collectors and restorers. An Italian Garage is a Web series of documentaries on classic Italian car manufacturers, narrated through the eyes of their collectors and restorers. Each season will deal with a single brand, each episode with a single car model. 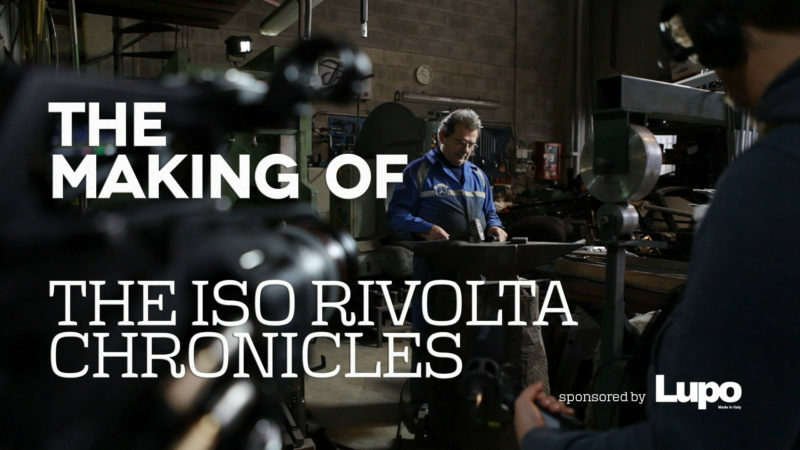 The first season, “The Iso Rivolta Chronicles“, focuses on the pioneering and unlucky brand Iso Rivolta, that gave us some of the most beautiful and inventive vehicles of the 50s and 60s. The season is divided in 8 episodes that will be published weekly on Thursday. Everything you see and ear – footage, soundtracks, graphics – has been independently produced by us, in an effort to higher the quality standards of Youtube productions.